Most nursing theories focus on either a bio-medical approach or a bio-psycho-social-spiritual approach. And while these theories are not only valid, but often very effective, there are some nurses who would prefer to focus on the quality of life of their patients, particularly from each individual patient's perspective. The Human Becoming Theory of Nursing, developed by Rosemarie Rizzo Parse, addresses this very issue. Rosemarie Rizzo Parse graduated from Duquesne University in Pittsburgh, and earned her Master's and Doctoral degrees from the University of Pittsburgh. Parse served as a faculty member at the University of Pittsburgh, as well as the Dean of the Duquesne University School of Nursing. Between 1983 and 1993, she was a professor and coordinator of the Center for Nursing Research at the City University of New York's Hunter College. She was also a professor and the Niehoff Chair at Loyola University in Chicago from 1993 until 2006. Beginning in January 2007, she has worked as a consultant and visiting scholar at the New York University College of Nursing. Parse is the founder and current editor of Nursing Science Quarterly, and is president of Discovery International, Inc. She is also an active Fellow in the American Academy of Nursing. 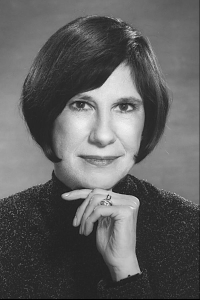 Throughout her career, Parse has published nine books and more than 100 articles and editorials about the nursing field. Her awards include two Lifetime Achievement Awards given from the Midwest Nursing Research Society and the Asian American Pacific Islander Nurse's Association. A scholarship was created in her name at the Henderson State University School of Nursing, and the Society of Rogerian Scholars gave her the Martha E. Rogers Golden Slinky Award. Then, in 2008, she received the New York Times Nurse Educator of the Year Award. Rosemarie Rizzo Parse created the Human Becoming Theory of Nursing, which guides nurses to focus on quality of life from each person's own perspective as the goal of nursing. It presents an alternative to most of the other theories of nursing, which take a bio-medical or bio-psycho-social-spiritual approach. It was first published in 1981 as the "Man-living-health" theory, and in 1992 the name was changed to "the Human Becoming Theory." It was developed as a human science nursing theory, and the assumptions underpinning the theory come from the works of Heidegger, Sartre, and Merleau-Ponty, as well as Martha Rogers, who was a pioneer American nursing theorist. The Human Becoming Theory is a combination of biological, psychological, sociological, and spiritual factors, and states that a person is a unitary being in continuous interaction with his or her environment. It is centered around three themes: meaning, rhythmicity, and transcendence. The theme of meaning says that Human Becoming is choosing personal meaning in situations, and that a person's reality is given meaning through experiences he or she lives in the environment. Rhythmicity explains that Human Becoming is cocreating rhythmical patterns of relating with the universe, and that a person and the environment cocreate in rhythmical patterns. Transcendence says that Human Becoming refers to reaching beyond the limits a person sets, and that a person is constantly transforming him or herself. In terms of nursing, the Human Becoming Theory explains that a person is more than the sum of the parts, the environment and the person are inseparable, and that nursing is a human science and art that uses an abstract body of knowledge to help people. The theory allows nurses to create a stronger nurse-patient relationship because the nurse is not focused on "fixing" problems, but is viewing the patient as a whole person living experiences through his or her environment. The Human Becoming Theory of Nursing is a model that focuses on the quality of life of the patient and sees the patient not as different aspects of a whole, but as a person. This is different than many other nursing theories, and allows nurses to do what so many of them go into the nursing field to help people.